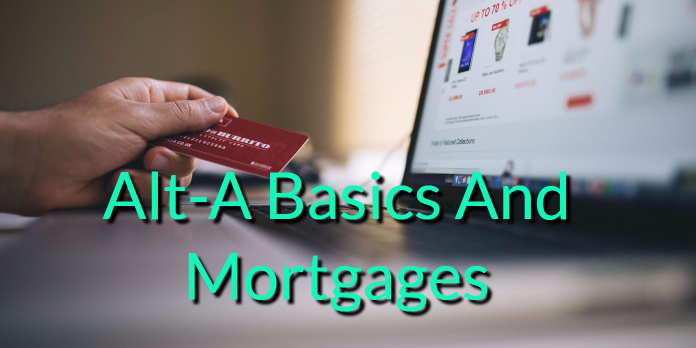 If you are new to Alt-A Basics And Mortgages or have heard of this product but aren’t exactly sure what this program is and how this helps you get a home, this article is going to hopefully teach you all about Alt-A. If you are in the market to buy a home and can’t pay for this home in cash, then you will have to get qualified under a mortgage program: FHA Loans, Conventional Loans, VA Loans, USDA Loans, Jumbo Loans, etc. Mortgages as you know are very dependent on credit score, debt to income ratios, loan-to-value, down payments, etc. For most borrowers out there, they will be offered a prime mortgage which is a standard high quality mortgage program or they will get a sub-prime loan where the fees and rates are higher due to the risk involved with getting the loan. However, there is an area in the middle of prime and subprime, and this is where Alt-A Basics And Mortgages come into play. To begin with, Alt-A program has a defining characteristic and that is they have minimal documentation required, or alternate documents required. What this means is a borrower doesn’t have to supply all documents as if they were getting an FHA Loan. They will not be required to supply 2-3 months of bank statements, 30 days of paystubs, 2 years of W-2s, 2 years of tax returns, etc. In reality, these loans are processed on the stated income without much support being given to them. Let’s look at it this way, if you are a self-employed individual, more than likely you make sure you record as many expenses as possible on your taxes in an effort to avoid paying a lot in taxes. Now with a standard loan program, this will get you in trouble as it will be shown via the tax returns and even thought your business receives $100,000 revenue, if you claim $10,000 profit, your qualifying income will be $10,000. Alt-A Basics And Mortgages always have a bank statement only option where all you have to prove are the deposits into your account and expenses aren’t necessarily taken into account. Yes, it can be said that these Alt-A loans were a contributing factor to the housing crash of 2007, but given the tightened standards these days, investors are looking to get a better return on their money that prime mortgages just can’t deliver, enter Alt-A Loans. These loans are definite options for a lot of borrowers today that don’t have consistent income where their income is seasonal like a CPA tax preparer. This person may earn 90% of their income in 4-5 months with the rest of the year being minimal income. This is a perfect situation for a bank statement loan. It can be shown via the bank statements that a majority of the income earned is during specific periods and given this, an annual qualifying income can be had. As you have read regarding Alt-A Basics And Mortgages, this is an extremely viable loan that is only getting more popular in today’s mortgage landscape. What these loans do is allow for otherwise disqualified borrowers to qualify for a mortgage. If it wasn’t for these loans becoming popular again, they wealthy self-employed individuals would have an extremely difficult time obtaining a loan. Now, all that hard work won’t be for nothing as an Alt-A loan is exactly what they ordered. If you are looking for more information regarding Alt-A Basics And Mortgages, you need to call me ASAP and we can work out a plan to get you funding ASAP. Please call or text me any time at 888-900-1020. I work every day, nights, weekends, and holidays in order to service all my borrowers. I look forward to working with you.